The Lilly Pad Village is located in the heart of the Aska Adventure Area. Often referred to as ‘Downtown Aska” or the “Aska Chamber of Commerce”. Close to all hiking, water activities and restaurants, the Lilly Pad Village provides great family fun both for kids and those kids at heart. Pet friendly and picnic tables are available for our guests to use. The hundreds of five star reviews and the over 25K visitors annually cannot be wrong. The Lilly Pad Village offers gem mining, mini golf, fishing and hiking. A quaint little gift store, with light refreshments is located on the premises. set on a picturesque two acres of land, and full of beautiful offerings of local Flora and Fauna. We are adding a beautiful nature walk to our mini golf course. The Lilly Pad gem mining is the best, very hands on and extremely educational gem mining adventures that you will embark on. Our gem guides are with you to help identify your finds and explain the science behind it. 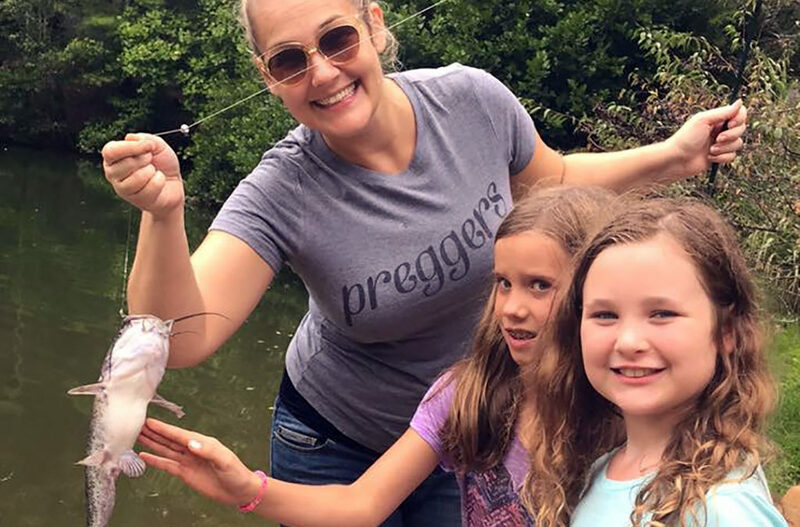 The Lilly Pad fishing pond is stocked with catfish, bass and brim for your fishing pleasure. No fishing license is required.